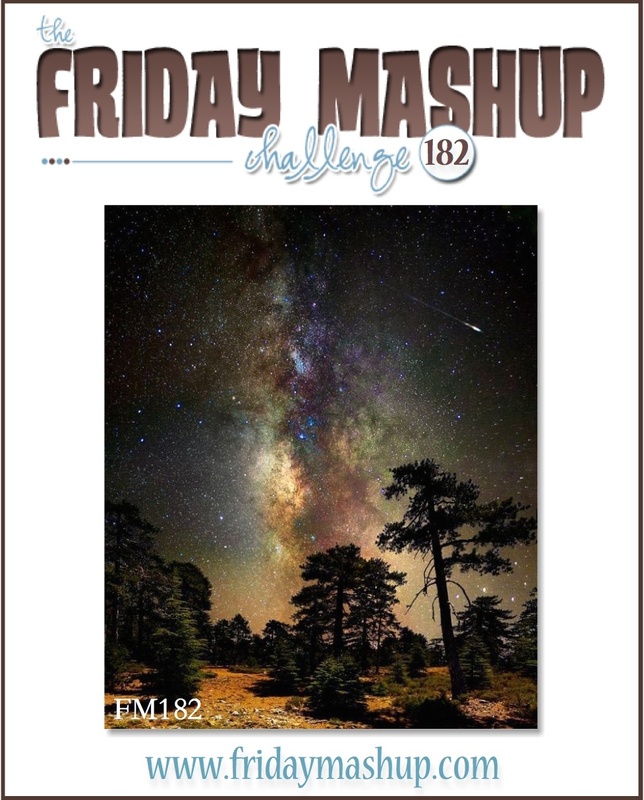 I'm back with The Friday Mashup this week and Holly has a fun technique for us to try. It's called the Galaxy Technique and you can watch videos on it HERE and HERE. She also wants us to create a project for a friend. After asking my fellow DT members what they used I went with reinkers on wax paper. 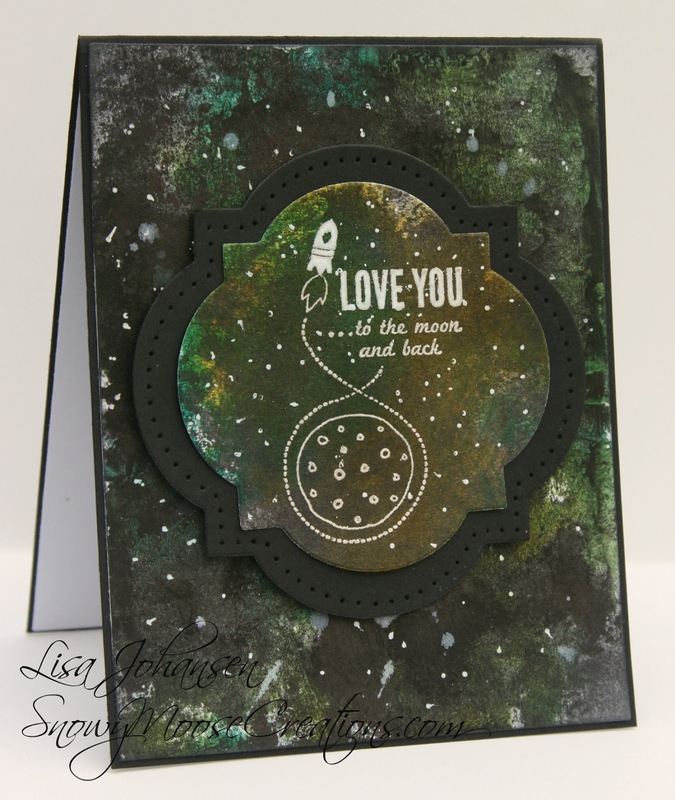 I mimicked fellow DT Sara by using Naturals White card stock instead of watercolor paper. Its a great replacement and I frequently use it for watercolor projects, even though I do have watercolor paper on hand. I then took the image and sentiment and embossed it with Whisper White embossing powder on a panel I cut out with the Window Frames framelits. I then repeated the technique on this panel, wiping the ink off the embossed portion as I went along. To finish off the card I backed the image panel on a Basic Black panel cut out with the next size up Window Frame and adhered it all with dimensionals. It's a fun card to give to an out of this world friend! Head over to The Friday Mashup and see all the great cards from the rest of the DT, and then give the technique a try! Create a project for "A Friend". or Mash it Up! and create a "Project for a friend using the Galaxy Technique".